We are delighted to announce that our Scottish tour for Spring 2015 is now confirmed. Sanitise...coming to a venue near you soon! For more information, please visit our performances page here. 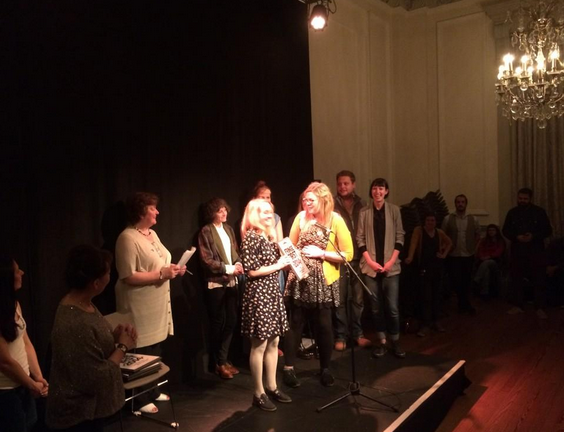 We are delighted to announce that Sanitise has won a Scotsman Fringe First award 2014. Read more about the awards and the other winners here. Our production blog is now live! Stay up to date with the going on and behind the scenes action of rehearsals, production and the show. Every week a different member of the team will be updating you on a part of the production process and sharing exciting content. First up, we have our performer, Melanie talking about the very beginnings of the show and how Sanitise started. Read more here. We are delighted to announce that Sanitise is now ON SALE as part of the Edinburgh Festival Fringe. We are performing at Underbelly Belly B﻿utton in the Cowgate from the 31 July - 24 August (Not 11 August). The creative team for Sanitise is now in place and we are so excited to be working with such a talented group of people! We have been awarded money by Creative Scotland to take Sanitise on a small Scottish tour! Stay tuned for further information and touring venues soon!